Kyle Dudgeon and I spent the afternoon in one of the photo blinds at Shawangunk Grasslands National Wildlife Refuge. 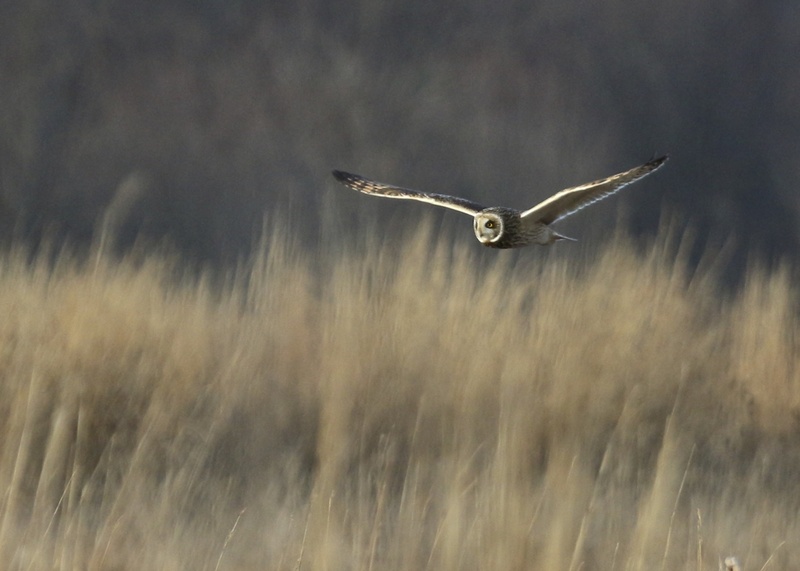 Early on, it was very slow with only a few Northern Harriers being seen and none of them coming close to the blind. Several Red-tailed Hawks moved from perch to perch off in the distance. 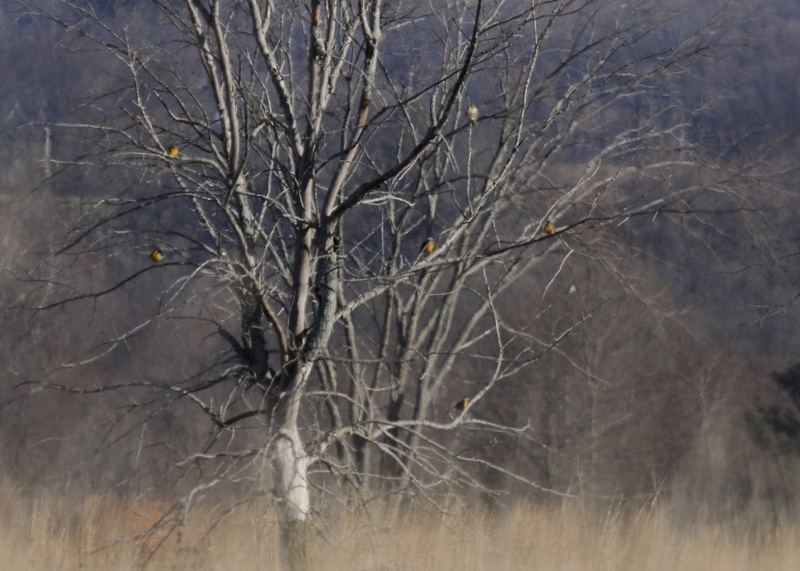 We had a Wilson’s Snipe do a flyover and then five Eastern Meadowlarks perched in tree. 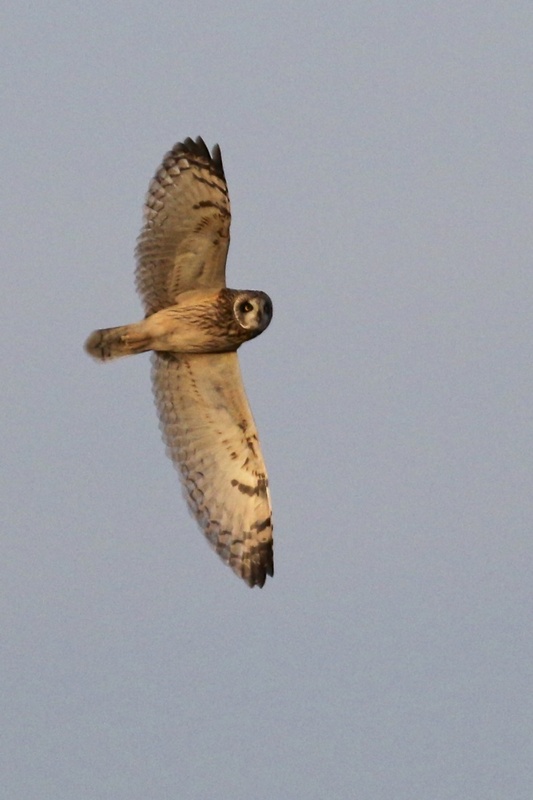 We didn’t have much excitement until later in the afternoon when the SHORT-EARED OWLS got up on the early side and put on quite a show. 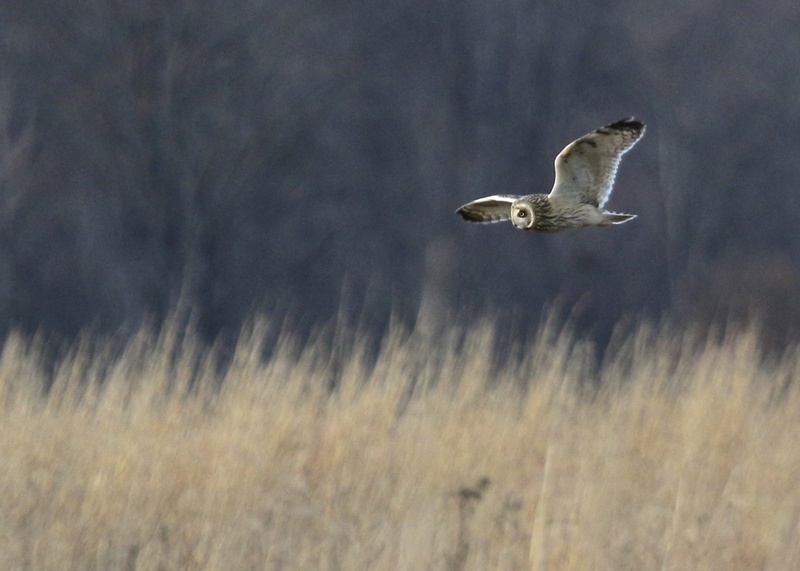 We had at least 4 owls and they were actively hunting and tangling with each other and a Northern Harrier as well. 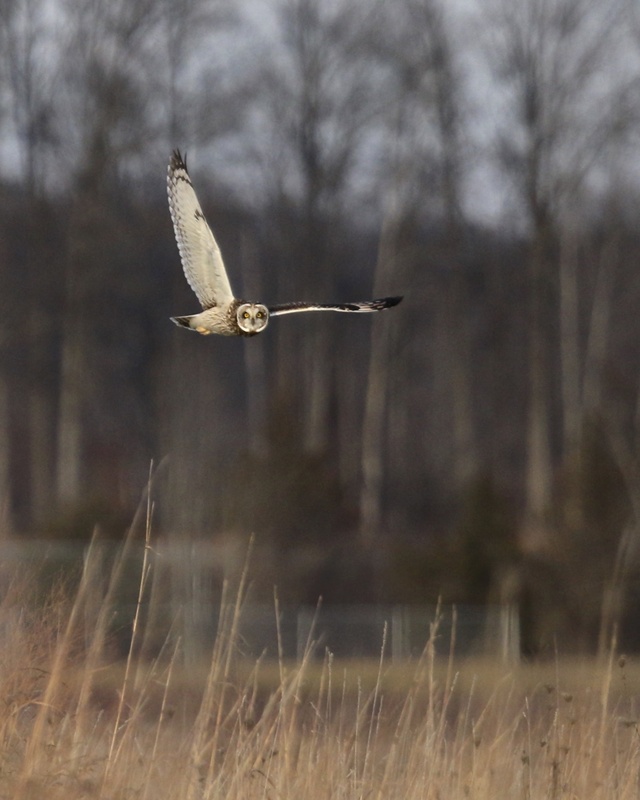 We spent over an hour watching and photographing the owls, which spent a lot of time around our blind but somehow never came in very close (all these images are pretty heavily cropped). I was happy to get lucky once again with these awesome birds. 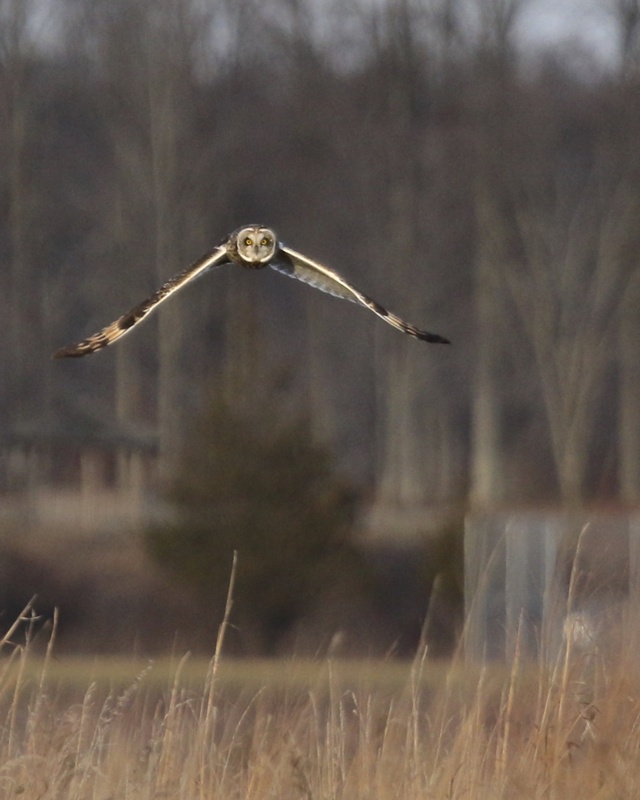 I love the first photo above, Short-eared Owl hunting over the Shawangunk Grasslands! The eyes are compelling! The grasses at the bottom point you straight back up to the owl. And the out-of-focus background is just in focus enough to make it an important part of the composition. A complete success, Matt! Incredible shots, Matt. So many good ones. 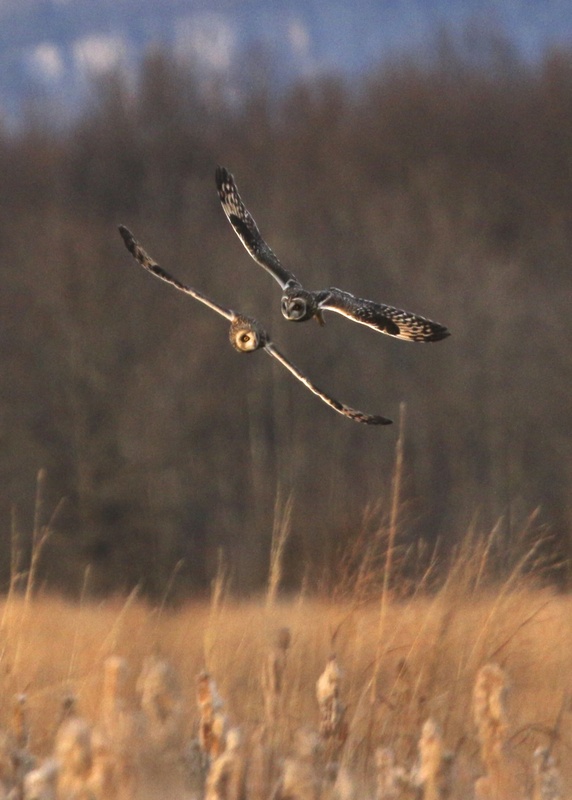 Love the one of the owl headed straight for the blind, and the two flying in tandem…and the position of the wings in the first photo. Beautifully done! Nice shots Matt, I was on the north side of you guys and had the same thing nothing really came in close all the action was between us. I counted 7 Owls total there was 3 staying on the north side of the fields and never came towards the middle with the others. All in all it was great being out and see that.